TALLINN, Estonia — In the Estonian capital of Tallinn, three-day-old Oskar Lunde sleeps soundly in his hospital cot, snuggled into a lime green blanket decorated with red butterflies. Across the room, his father turns on a laptop. “Now we will register our child,” Andrejs Lunde says with gravity as he inserts his ID card into the card reader. His wife, Olga, looks on proudly. And just like that, Oskar is Estonia’s newest citizen. No paper. No fuss. This Baltic nation of 1.3 million people is engaged in an ambitious project to make government administration completely digital to reduce bureaucracy, increase transparency and boost economic growth. As more countries shift their services online, Estonia’s experiment offers a glimpse of how interacting with the state might be for future generations. Need a prescription? It’s online. Need someone at City Hall? No lines there — or even at the Department of Motor Vehicles! On the school front, parents can see whether their children’s homework was done on time. 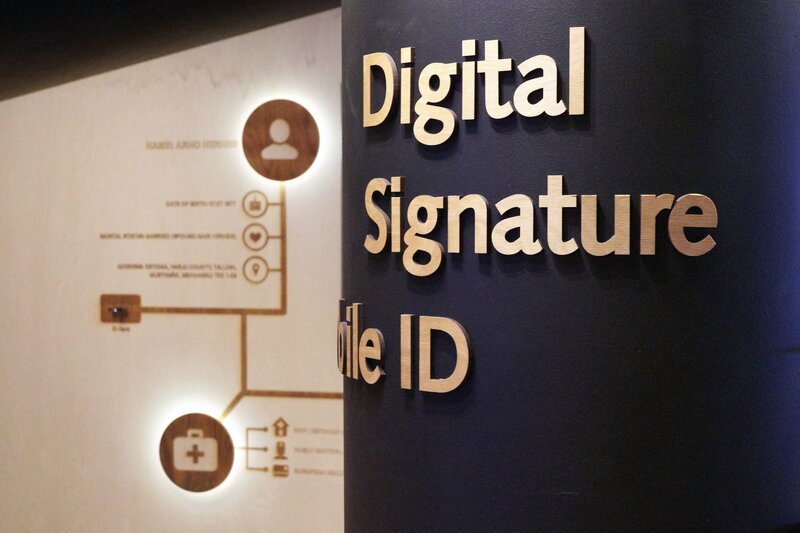 Estonia has created one platform that supports electronic authentication and digital signatures to enable paperless communications across both the private and public sectors. There are still a few things that you can’t do electronically in Estonia: marry, divorce or transfer property — and that’s only because the government has decided it was important to turn up in person for some big life events. This spring, government aims to go even further. If Oskar had been born a few months later, he would have been registered automatically, with his parents receiving an email welcoming him into the nation. Marten Kaevats, Estonia’s national digital adviser, says the goal is a government that supports its citizens while staying out of the way. Siva Vaidhyanathan, director of the Center for Media and Citizenship at the University of Virginia, says other countries have a lot to learn. Estonia took time to build security and privacy into its model, in contrast with failed efforts by private companies to provide secure online voting systems in the United States, for example. “It made sure that state accountability is part of the process,” he said. Estonians largely seem to have embraced the system despite global concerns about data hacks. At a demonstration showcasing the digital system, project manager Indrek Onnik stood beside a huge screen illustrating his profile. He showed off his high school grades from a decade ago and his diving license records. If he had a dog, its vaccination record would appear there, too. Citizens can monitor their data and see if any government or private institution accesses it. The platform is underpinned by software called X-Road, a decentralized data exchange system that links databases. Outgoing data is digitally signed and encrypted, and all incoming data is authenticated and logged. The government, fearing attempts to compromise its borders by neighboring Russia, also has a backup plan to restore digital services in the event of invasion or severe cyberattacks: data “embassies” in countries like Luxembourg. Like a regular embassy, the servers are considered Estonian territory and would give the government a chance to boot up elsewhere if needed. Making life simpler for citizens has economic benefits in a country otherwise known for unforgiving winters and old growth forests. The project, which began in 1997, laid the groundwork for Estonia’s booming tech sector. Skype, the video-calling service Microsoft bought for $8.5 billion in 2011, is Estonia’s most famous high-tech export, but the impact is broader. Information and communications accounted for 5.9 percent of the economy last year. The government hopes to increase that figure with an “e-residency” program that lets entrepreneurs around the world register their businesses in Estonia and gain a foothold in the European Union. More than 51,000 people from 167 countries have applied at a cost of 100 euros ($114) each. The advances in digitization are the result of long-term thinking. When Estonia declared independence in 1991, the economy was so backward in this former Soviet republic it had to be rebuilt from scratch. The leadership looked for an industry where the country could compete. They decided on information technology and the internet, a field that was as new as Estonia, said former President Toomas Hendrik Ilves. When the cash-strapped country needed to replace a 1930s phone system, Finland offered a late 1970s analog system free of charge. But Ilves argued that the government should decline the offer and invest in digital technology. Ilves, who grew up in the United States and was introduced to computers in junior high, proposed getting kids started early. The government started building computer labs in schools. Banks supported the move, as it reduced the need for branches in rural villages. More than 99 percent of Estonia’s banking transactions now take place online. Whether Estonia’s system can be used in larger countries is an open question, said Zvika Krieger, head of technology policy and partnerships at the World Economic Forum. What works in a small, progressive country won’t necessarily work in sprawling democracies like the U.S. or India. Estonia sees its approach as a prototype for modern democracy — a counterpoint to authoritarian countries intent on using digitization to control their citizens. Ilves, who travels around the world talking about the project, tells other countries that increased efficiency builds trust — and improves governance. Andrejs Lunde is among the believers. He says digital government makes life so much easier that it’s worth any potential security risk, pointing out that personal information can be stolen from paper-based systems as well.